wltuser.exe is a legitimate process file popularly known as Windows Live Toolbar User Elevation Helper. It belongs to Windows Live Toolbar, developed by Microsoft Corporation. It is located in C:\Program Files by default. Malware programmers write virus files with malicious scripts and save them as wltuser.exe with an intention to spread virus on the internet. How to determine if your computer is infected with wltuser.exe malware? Step 1: Simultaneously press CTRL+ALT+DEL keys to open Task Manager. Step 2: If you notice the file located outside C:\Program Files, perform an antivirus scan to get rid of the malware. How to remove wltuser.exe malware from system using Comodo Antivirus? 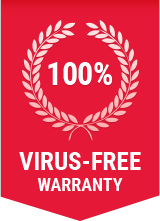 Step 1: Download our award-winning Free Antivirus. Step 2: Installation configuration frames will be displayed. Select the configuration you would like to apply. Step 3: Select Customize Configuration option and arrange installers, configuration, and file location. Step 4: Restart your PC after the installation gets over. Step 5: Wait for Comodo Internet Security to update the antivirus. Step 6: Proceed with the quick scan that automatically begins after the update. Step 7: If threats are found during the scanning, you will be notified through an alert screen. Step 8: Comodo Antivirus will remove wltuser.exe malware from your computer including all other malwares!